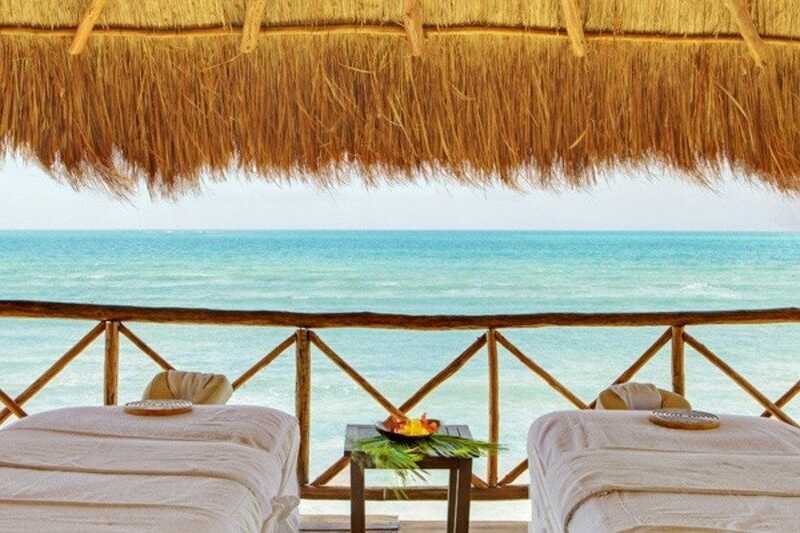 The 13,000-square-foot Vassa Spa Azul Sensatori Mexico is a world of zen which awaits vacationers who have made the long journey to Cancun to relax, unwind and escape the daily grind. The sounds of the water fountains, soothing scents and and natural light filtering through the spa atrium dome are just the beginning. Vassa Spa features an extensive menu including alternative therapies, wellness rituals, massages, wraps, facials and treatments especially for couples, brides, pregnant women, men, teens and children. 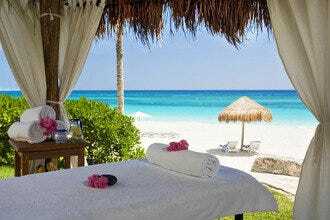 Massages are also available on the beach, in the tropical garden or in your suite. Spas: "You will receive a complimentary hydrotherapy ritual when you book a 50-minute spa treatment." Best for Spas Because: Vassa Spa at Azul Sensatori Mexico is a beautiful facility and they offer treatments for teens and children.